Above: The Kinsinger family owns and operates Lancaster County's well-known Amish print shop, The Gordonville Print Shop. The Kinsinger patriarch, Andrew S. Kinsinger, began this print shop in 1956, after purchasing a small letterpress shop from J. G. Fisher. Two years later, Andrew was elected chairman of his Leacock Township's Amish schools. He was responsible for furnishing local Amish schools with their school books. Son-in-law William Herschberger uses "Alternative Amish Power" to runs 2 Japanese Ryobi offset presses. Because his Amish religion does not allow him to use electricity, he runs these presses with hydraulic pumps driven by a diesel engine. This extraordinary Amish print shop is in a league of its own. 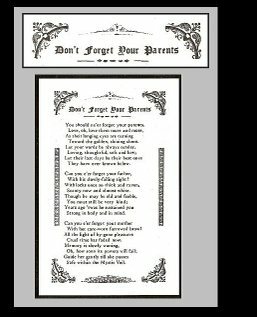 Amish Poetry Broadsides, for 5 Cents Each. 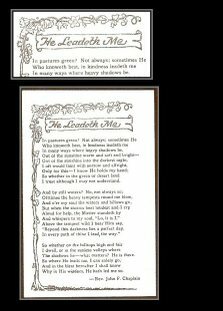 Above: Poetry Broadsides from the Gordonville Print Shop. Above: Five books by various printers. These books were not printed by the Kinsingers at Gordonville. They were printed for the Amish by non-Amish printers, such as John Baer's Sons, the Lancaster Press, etc. The Kinsinger family and their Amish neighbors are sort-of tri-lingual. Their three languages are English, Pennsylvania German, and High German. The Kinsingers print mostly English-language books for their schools, because English is the first language of study in Lancaster's Amish schools. Meanwhile, the Kinsingers and all their Amish neighbors also speak Pennsylvania German, which is a German dialect. Their third language is High German, the language of their religious books. 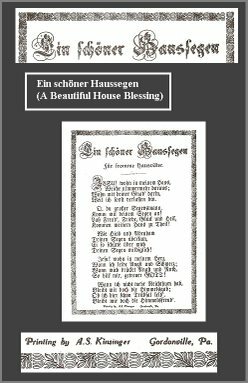 Many of the Amish religious books have always been published in High German, including the ones I show here.